After a very long gap the highly adored celebrity couple Surya-Jyothika are making their appearance together in a commercial ad. The duo were last seen in Aircel commercial ad during Diwali season. 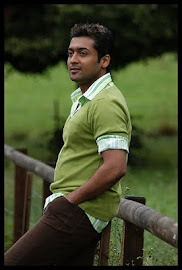 Later Jyothika joined hands with Surya for the promotional ad shoot of Agaram Foundation. Now, Surya and Jyothika will be endorsing for New Sunrise instant coffee mix and the TV commercial is said to be released on March 12th, 2011.